Following the outbreak of violence at the beginning of the year in Ituri province, Democratic Republic of Congo (DRC), tens of thousands of people remain displaced. Many are living in Bunia, northeastern DRC, where MSF is supporting basic healthcare in three health centres, and is helping refer severe cases to the regional hospital and a private clinic. Teams have installed a water supply and erected latrines and showers in the two camps in the town. MSF teams are also working on the lakeshore of Lake Albert, which borders Uganda, and in and around the town of Mahagi. Outbreaks of violence are continuing, and so people are still on the move. According to UNHCR, over 57,000 Congolese have fled to Uganda since mid-December, the vast majority of them crossing Lake Albert by boat to find refuge in Kyangwali region. The refugee population in Kyangwali settlements jumped from 36,000 in December 2017 to 68,700 in March 2018. On their arrival refugees are finding that the number of people is putting pressure on the capacity to respond. 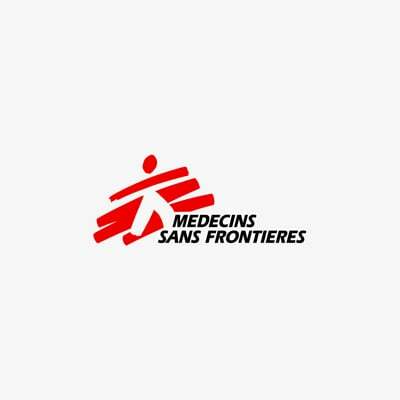 Since mid-February MSF has provided 6,000 consultations at its 24/7 clinic in the Kagoma reception centre in Uganda and has vaccinated over 15,000 children and women of childbearing age. As of March, a cholera outbreak had left at least 36 people dead and 1,792 severely affected had been hospitalised. Tales of houses systematically torched, people hunted down into the forest and murder. A succession of atrocities recounted in a climate of uncertainty as to what is behind the violence and the identities of its perpetrators. But for many of the refugees arriving in Uganda, what is certain is that these events are more than a resurgence of the historical tensions that for many decades have opposed Lendu and Hema communities in the region. Many say they do not know the whereabouts of their families who they were separated from during their flight. Children, pregnant women and the elderly have to fend for themselves. Aged about 20, Henriette has been living in Kagoma reception centre for the past ten days. She fled when her village in Djugu came under attack in the middle of January. She does not know where her husband or her child are since losing them in the confusion of the attack and flight. She gave her suitcase containing her clothes to pay for the crossing to Uganda. Four months pregnant, she has no-one. While a system has been set up in Uganda to provide protection and assistance to the refugees, facilities in Hoima district, in the west of the country, are no longer able to cope with the numbers of people who continue to arrive and there is still insufficient humanitarian aid. Supporting their families is a challenge for the newly arrived. “A week ago we finished the food given to us by the authorities. My uncle manages to find us something to eat, mainly little fish from the lake”, explains 14 year-old Joanne who arrived a short time ago in Maratatu camp.